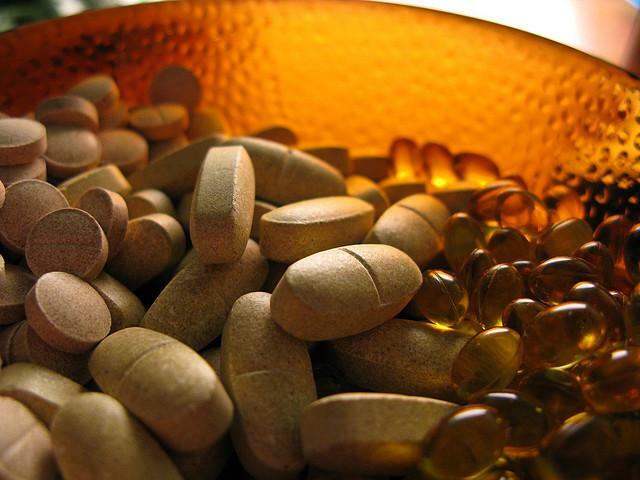 Low levels of vitamin D may accelerate cognitive decline in older adults, a new study finds. “It remains to be determined whether vitamin D supplementation slows cognitive decline,” the researchers noted. Importantly, they found Hispanic and African-American participants, on average, had significantly lower vitamin D levels when compared to their European American peers. "Deficiency is probably due to some combination of limited sun exposure and low dietary intake," Dr. Joshua Miller, study co-author and chair of the Department of Nutritional Sciences at Rutgers University, told Medical Daily. "There are genetic polymorphisms that can influence the function of vitamin D within cells." Tracking the participants over time, what did the researchers discover? First, “about 60 percent or more of the participants were low in vitamin D, either insufficient or outright deficient,” Dr. Joshua Miller, study co-author and chair of the Department of Nutritional Sciences at Rutgers University, said in an interview. Specifically, African-American and Hispanic participants had “significantly lower" vitamin D levels compared with the white study participants. According to the researchers, this may be due to skin pigmentation and how it affects both the absorption of sunlight and the processes of conversion to vitamin D.
Second, participants with dementia at the start of the study had lower levels of vitamin D than those with either no cognitive impairment or mild impairment, the researchers said. Third, insufficient vitamin D linked to much faster declines in two of the tested areas, the researchers discovered. This occurred no matter a participant’s race, ethnicity, or even beginning cognitive abilities. The two domains were episodic memory (your recollection of people, places, and events) and executive function (your ability to reason, solve problems, and plan, among other skills). “Those two domains were declining at a rate 2.5 times faster among those with low vitamin D than those who had adequate vitamin D,” Miller said. According to Miller, vitamin D deficiency is “common in the general population, particularly among older adults,” and he and his colleagues focus "mainly on what we can change, i.e. sun exposure [which is how your body produces the vitamin naturally] and dietary or supplement intake. By the way, the further away from the equator (either north or south), the more time during the year when the sun is not strong enough to initiate synthesis of vitamin D in the skin," he said. Along with exposure to sunlight, the vitamin can be obtained from some foods — including fatty fish, egg yolks, beef liver, fortified milk, and fortified orange juice. However, the Vitamin D Council warns food does not supply enough vitamin D, so those who are deficient require supplements. Source: Miller JW, Harvey DJ, Beckett LA, et al. Vitamin D Status and Rates of Cognitive Decline in a Multiethnic Cohort of Older Adults. JAMA Neurology. 2015. Note: Quotations from Dr. Miller to Medical Daily were added after initial publication time.